I'm here to help clean your house! !I'm here to help clean your house! !I'm here to help clean your house! !I'm here to help clean your house! ! Hello my name is Dalia. 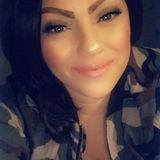 I am a Azusa based house cleaner that wants to help your family if I can. I look forward to hearing from you!Hello my name is Dalia. I am a Azusa based house cleaner that wants to help your family if I can. I look forward to hearing from you!Hello my name is Dalia. I am a Azusa based house cleaner that wants to help your family if I can. I look forward to hearing from you!